William Rogers has generated his keep from interviewing, editing, shooting and educating people and bringing the results to web, broadcast, theaters and classrooms for his entire career. 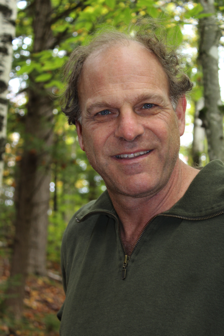 He formed the Coruway Film Institute while teaching screenwriting and television production at the University of New Hampshire and has maintained a bearing in both the professional media world as well as the educational realm. His films have shown around the country on public television and recently on commercial television where the idea of the local being global is a ready marketing approach. He is an artist on the NH State Council on the Arts Arts & Education Roster and has also served on the NH Film Commission. The range of his work is exemplified by his profile of ski sensation Bode Miller, Flying Downhill and one of his first productions, a profile of his uncle who spent half his life in an institution for those defined as developmentally disabled, My Uncle Joe. His blog is Coruway Film Institute. Carin Lee is a writer and educator who arrived in Maine by way of the prairie of Minnesota where she taught in Blue Earth. 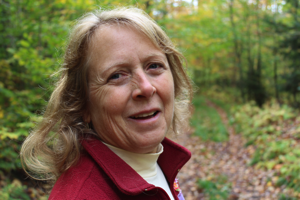 She has adjusted to the woods that now surround her and is sustained by the words which inspire her and her students, She was a member of the Maine Arts Commission and is a juried artist in poetry and literature. She studied poetry and writing at the University of New Hampshire and the University of Iowa from which she carries credentials in teaching. In recent years she has enjoyed teaching writing to home-schoolers and is working on manuscripts on the writing of students and of adventures in open adoption.